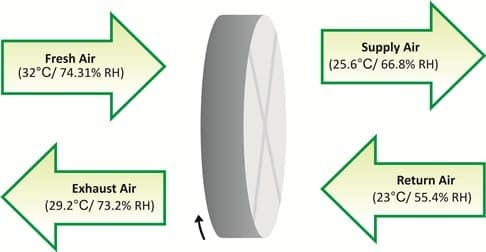 Heat Recovery Wheels are positioned within supply and exhaust air streams of an AHU in order to recover the heat energy. In other words, the wheel is positioned in an AHU so that it is divid ed into two half moon sections. 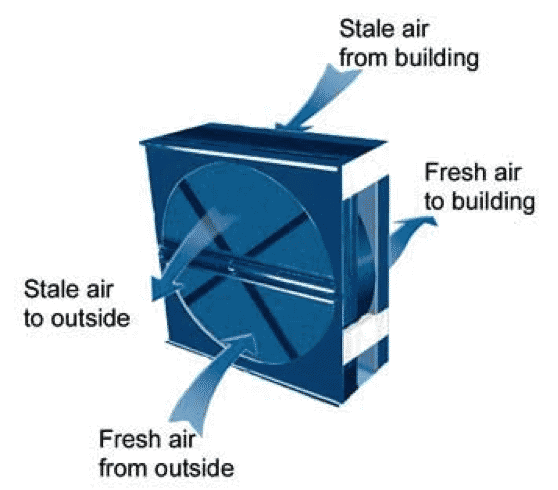 Stale exhaust air is drawn through one half and fresh outdoor air through the other in a counter flow pattern. The wheel is in rotation all this while. Sensible heat is transferred as the metallic substrate picks up and stores heat from the warmer air stream and gives it up to the cooler one. To know more about how the Heat Recovery Wheel can benefit your project, write to us.